Samsung has done a very commendable job by ensuring that all its devices get the latest security fixes as soon as possible. The Note 5 was launched in 2015, in the month of August, and was released with Android 5.1, Lollipop version. The 6.0.1 version, Marshmallow, was its first big update after the launch. If you happen to own a Note 5 in Australia, now would be the right time to head to the Settings on your device and initiate a download of the latest security update. 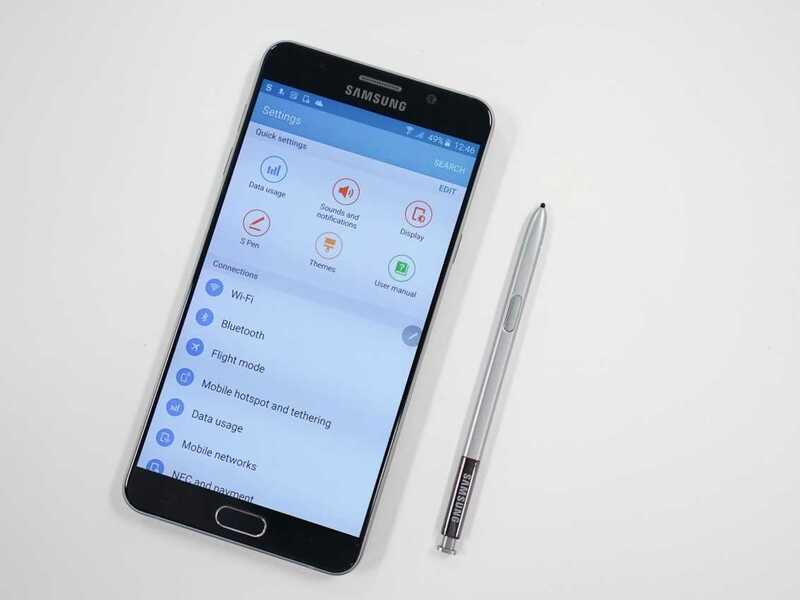 Samsung has begun sending out the latest Android OS security updates for the Note 5 phone. The update weighs about 267.61 MB and is currently being rolled out to Note 5 phones that are unlocked, in Australia. The update is also available for other Samsung devices, such as the S7 Edge users of Spain and will be offered for other devices and areas very soon. Samsung had offered details of the SMR for this month just three days back and it has already started offering update for Note 5 unlocked variants in Australia. The new update offers fixes related to security issues and come from Google as well as Samsung. The update offers a fix for a bug that can allow a person to bypass the phone’s lock screen with the use of a USB cable, if it is exploited. The latest June update brings all the new patches from Google for the Note 5. There are also plenty of optimizations that are specific to Samsung. This includes a very important patch that protects vulnerabilities related to bypassing the device lock screen using USB cables. However, though the update has been released, all phones may not receive the notification immediately. It will ultimately hit all Note 5 devices very shortly. Those who are impatient to download the update can also make a manual check on their phones by accessing the Settings on their device. Those who own the Australian model of an unlocked Note 5 can check out whether the firmware can be accessed for their smartphones. They can go to Settings and then to About Device. Here, they have to select Software Update and then access Update Now. Those who are willing to wait will receive the push notification that prompts them to download the new OTA. It makes sense to update to latest versions whenever possible. This is because exploitation of issues on the Android operating system can be made difficult in case of newer versions. Once the installation procedure starts, the device gets restarted. You can also download the new update using mobile network or your mobile data when roaming. However, this will result in extra charges. It is advisable to download such security updates using Wi Fi. It is important to remember that you need a minimum of 50% of the phone battery in order to receive an alert, so keep your device on full charge. iOS 5.1 if you did not improve.